Gulfstream Aerospace Corp., a wholly owned subsidiary of General Dynamics (NYSE: GD), today introduced an all-new family of business jets: the Gulfstream G500 and G600. The two new aircraft optimize speed, wide-cabin comfort and efficiency to offer customers best-in-class performance with advanced safety features. Gulfstream announced the clean-sheet aircraft before a crowd of approximately 3,000 people. During the event, the first G500 taxied up under its own power, and General Dynamics chairman and CEO Phebe Novakovic revealed a nearly 70-foot mockup of the G600. 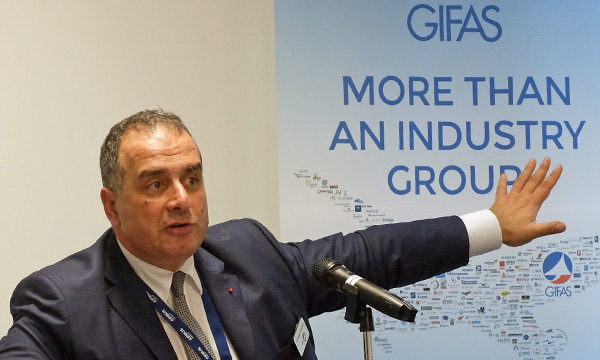 "Today's announcement demonstrates the power of General Dynamics' consistent and disciplined investment in both Gulfstream's research and development and manufacturing facilities," said Novakovic. 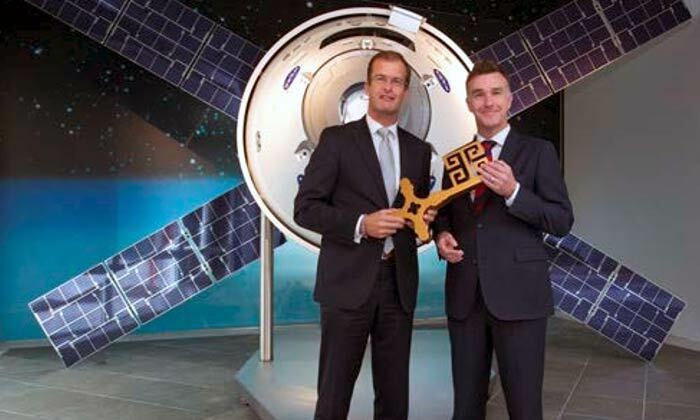 "The effect of that investment is manifest in the two airplanes we announced today." The G500 can fly 5,000 nautical miles/9,260 kilometers at Mach 0.85 or 3,800 nm/7,038 km at Mach 0.90. The G600 is capable of traveling 6,200 nm/11,482 km at Mach 0.85 or 4,800 nm/8,890 km at Mach 0.90. The maximum operating speed for both aircraft is Mach 0.925, the same speed as Gulfstream's G650 and G650ER. "This is another extraordinary day in the storied history of Gulfstream," said Larry Flynn, president, Gulfstream. "I could not be more pleased to announce the next generation of Gulfstream aircraft. The G500 and G600 build upon the technology present in our G650 and our latest aircraft, the G650ER. Once again, our customers played a major role in the development and creation of these aircraft. 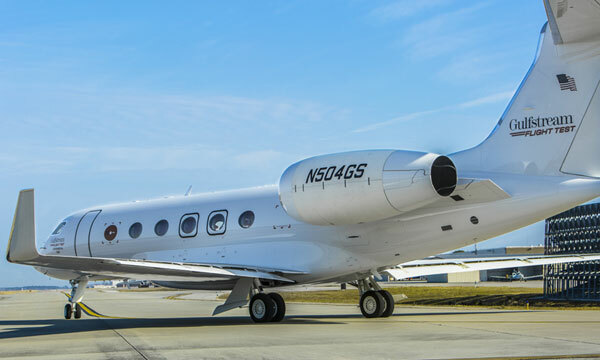 The G500 and G600 continue the long Gulfstream tradition of being the first original equipment manufacturer to ensure an optimal combination of speed, range, wide-cabin comfort and fuel burn." The cabins for the G500 and G600 are distinguished by their wide cross-sections, which maximize passenger comfort and aircraft performance. The finished cabin of each aircraft, which measure 91 inches/213 centimeters wide and 74 in/188 cm tall, provide wide-cabin comfort with considerable head room and shoulder room for passengers. Carrying up to 19 passengers each, the G500 has three living areas, and the G600 has up to four, as well as an optional crew rest. Both aircraft have forward and aft lavatories and include a full-size galley that can be located in either the forward or aft portion of the aircraft. Ample storage space is also prevalent in the baggage compartment, which has 175 cubic feet/5.0 cu meters of usable volume. 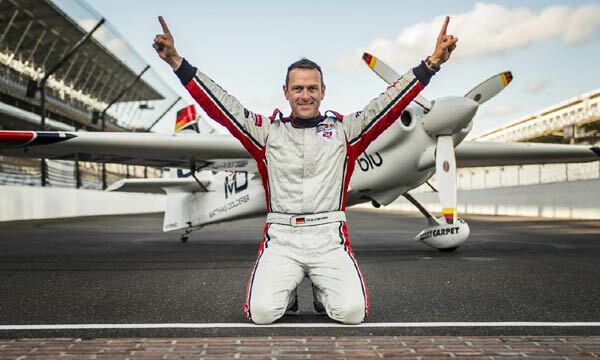 Both aircraft feature an industry-leading cabin altitude of 4,850 ft/1,578 m at FL510 and 100 percent fresh air that boosts mental alertness and productivity while reducing fatigue. The quietest cabins in the industry provide an ideal environment for work-related discussion or social conversation. Large oval windows, the same size as those on the G650, allow natural light to pour into the cabins. Gulfstream's revolutionary new SymmetryTM Flight Deck is the most advanced, stylish, comfortable and intuitive in business aviation. 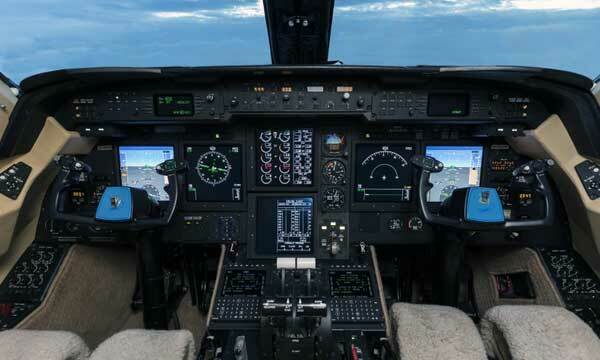 The cutting-edge technology comes in the form of active control sidesticks (ACSs), integrated touchscreen controllers, a next-generation enhanced vision system (EVS) and Honeywell Primus Epic avionics. The industry-first ACSs offer enhanced safety and situational awareness over passive sticks through tactile feedback. With electronic linking of the ACSs, the pilot and co-pilot can see and feel each other's control inputs, which helps improve pilot coordination in the cockpit. "The active control sidesticks enable both pilots to be consistently on the same page, enhancing safety," said Dan Nale, senior vice president, Engineering, Programs and Test, Gulfstream. "No other business aircraft on the market has this feature." Adding to the pilots' more intuitive interaction with the aircraft are 10 integrated touchscreens, which will be used for system controls, flight management, communication, checklists and monitoring weather and flight information. 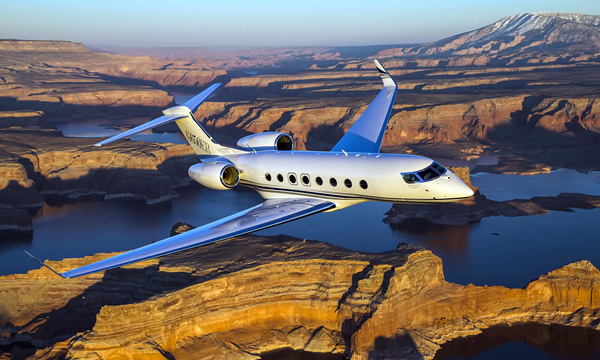 The G500 and G600 incorporate a third-generation Gulfstream EVS, the Synthetic Vision-Primary Flight Display system and Head-Up Display II. Similar to the G650 and G650ER, the G500 and G600 offer a full three-axis digital fly-by-wire system with benefits that include flight-envelope protection, stability augmentation, increased redundancy and reduced maintenance. Speed is one of the biggest differentiators. The G500 and G600 can fly at a high-speed cruise of Mach 0.90, saving operators up to an hour per flight versus flying at Mach 0.80. The G500 and G600 are powered by versions of the new Pratt & Whitney Canada PW800 series engine. The PW800 delivers excellent fuel efficiency, fewer emissions and engine noise, and has a 10,000-hour time between overhaul with no midlife inspection for lower operating cost. The combination of the new PW800 engines and the Gulfstream-designed wing result in industry-leading fuel efficiency for both the G500 and G600. 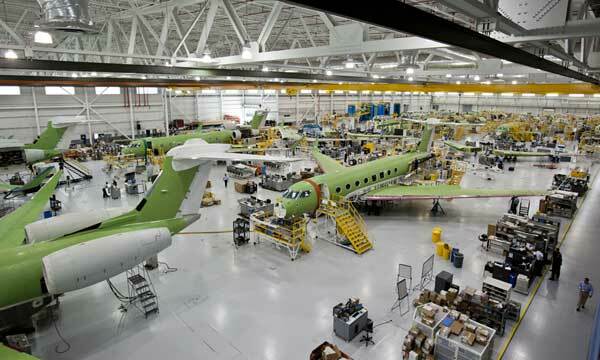 Manufacturing for the G500 and G600 will be done at two new purpose-built facilities in Savannah. Gulfstream will produce the wings and the vertical and horizontal stabilizers for each aircraft. The G600 flight-test program is expected to begin approximately 12 to 18 months after the G500's, and entry-into-service is projected to be in 2019. "The G500 and G600 are tremendous additions to our family of aircraft, filling a niche in an already extensive product line," Flynn said. 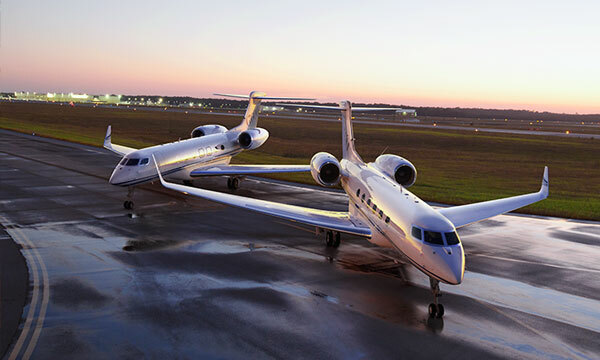 "In 2008, we introduced two game-changers in business aviation, the G650 and G280. Now, six years later, we're introducing another pair of revolutionary aircraft, the G500 and G600. Thank you to all of our employees for making this possible. Those who build, design, develop, sell, market, service and support our aircraft — you are the best in the business."